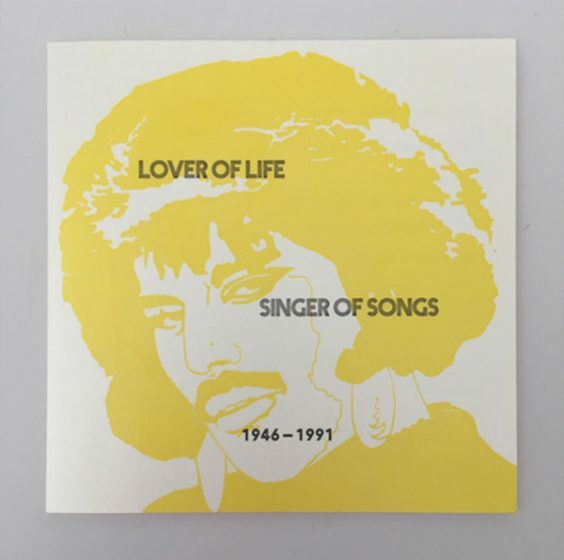 Tag Archives: Let’s See That Printed! 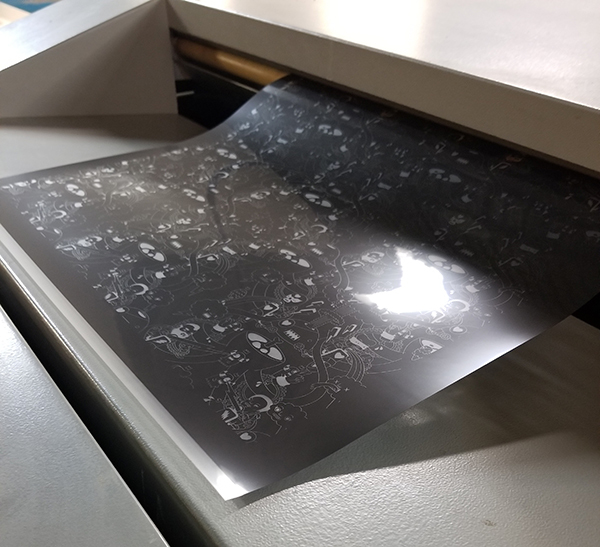 We keep tabs on the many wonderful and intriguing designs that come through doors here for our custom-made photopolymer platemaking services. 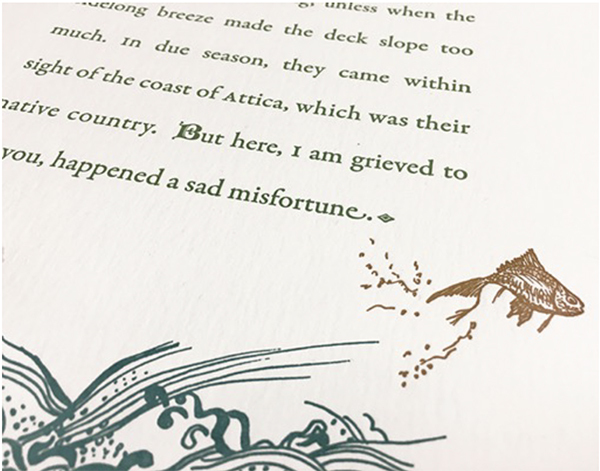 One that we’ve been following for quite some time is Mindy Belloff (of Intima Press)’s highly detailed illustration and creative typesetting designs in her latest fine edition book project. 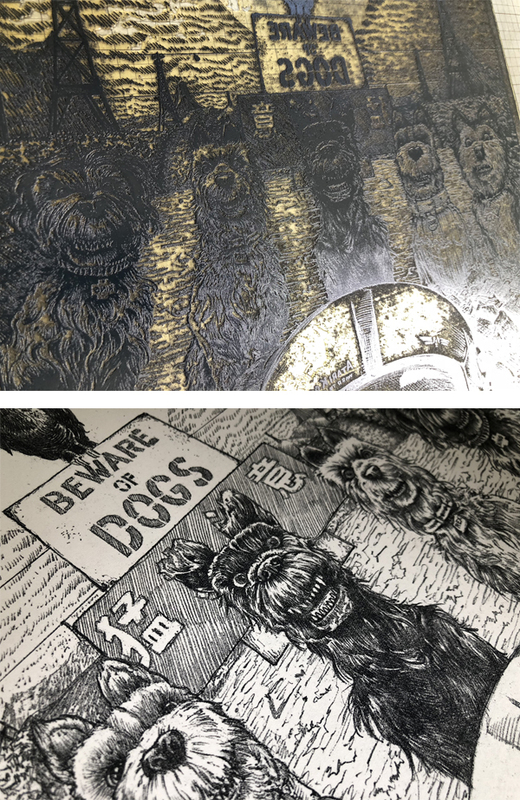 As a book artist, letterpress printer, and educator, I have been a loyal fan of Boxcar Press, having ordered plates since the beginning of Harold’s enterprises. The staff have always been helpful, especially when polymer platemaking and digital spec instructions were still in their infancy. During this time, I have sent to Boxcar a wide variety of digital designs of artwork, student work, and job work. A few years ago, as a new livre d’artiste was in the works, they took notice of the beginning of the work. As I ﬁrmed up designs and sent a ﬂurry of large plate orders, I was asked about the scope of this project as it had piqued their interest. 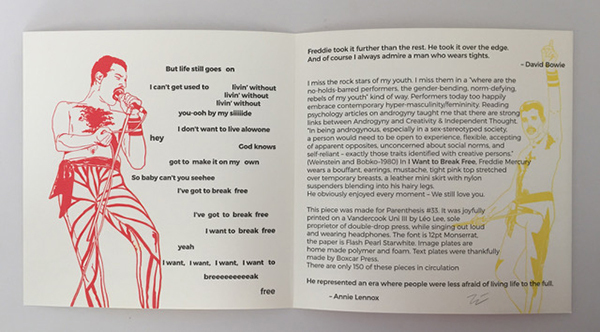 I was happy to share the text, but could not stop production and take time to send images of the various pages, as I was working so intensely, designing by night and printing all day. 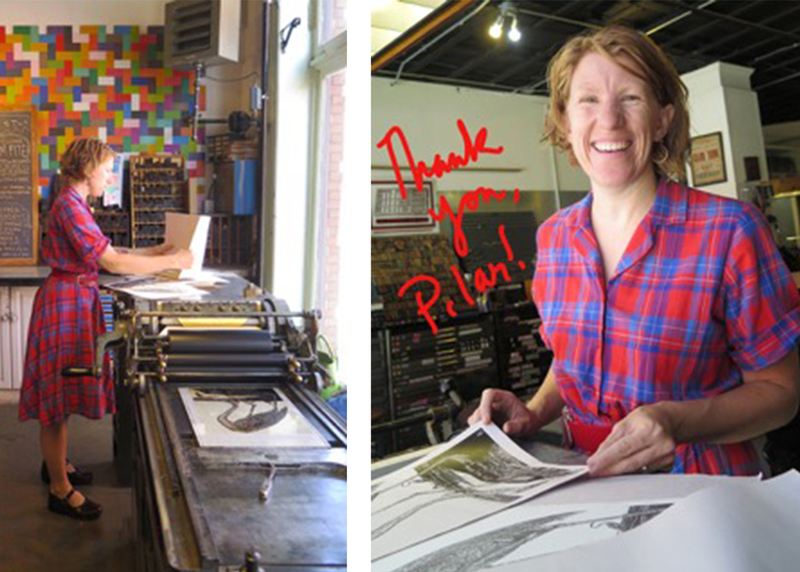 I had close to 2,000 sheets in my studio in various stages of printing for over a year and a half. 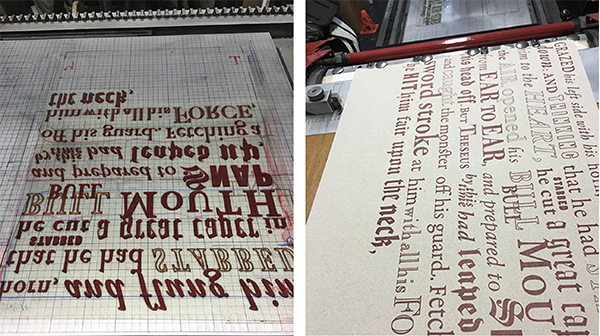 Recently, I was asked by Boxcar to reveal more about the ﬁne edition book I have just released, after two intense years of work, which follows. The book is titled, “A Golden Thread.” It is 92-pages, in a format of folios, featuring the text of “The Minotaur,” a short story by Nathaniel Hawthorne (1853). 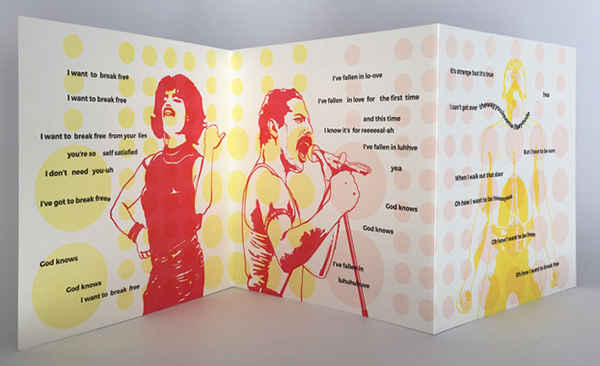 It is composed of 100 original drawings, some with hand painting, and 200 press runs, in an edition of 40, printed on cotton rag papers with a sheet size of approximately 15 x 21 inches. 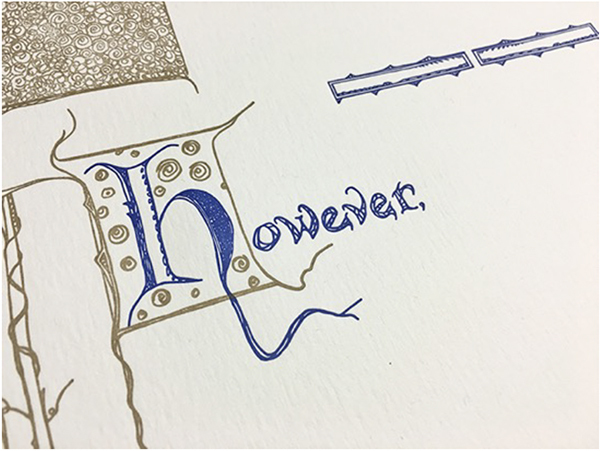 It is a contemporary twist on the medieval illumination, letterpress printed on a Vandercook Uni III automatic press. 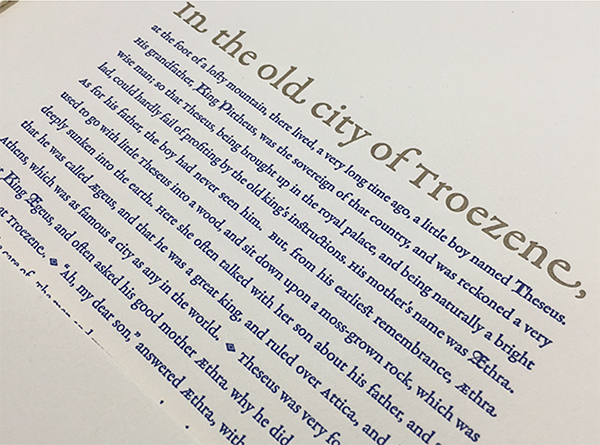 The story begins in blue and gold ink, with our hero Theseus, as a young boy. As the story unfolds, Theseus grows to be a young man and journeys to Athens to ﬁnd his father, King Aegus. When the ship arrives in Crete, the evil King Minos throws them in the dungeon, to await their fate. Enter the heroine, Ariadne, who secretly releases Theseus and leads him to the entrance of a maze. 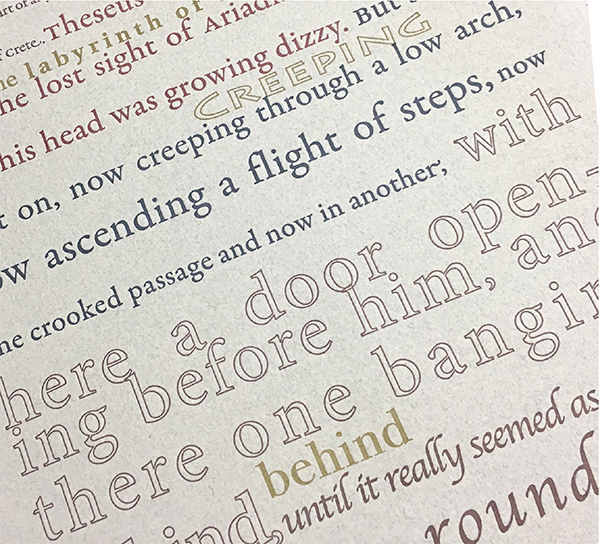 The middle section of the book, as Theseus makes his way through the labyrinth to ﬁnd the Minotaur, is designed with typography that blankets the page. The plates for this section were, of course, quite large, and many pages were printed on one side of the sheet, and then turned (plates and paper), to accommodate the sheet size. Most pages have 5 to 6 press runs each. In the third and ﬁnal section of the book, Theseus emerges victorious, having slain the bull-headed Minotaur monster. Our heroine awaits, still holding the golden thread at the entrance to the maze. Theseus and the other 13 youths sail back to Athens, where they encounter more obstacles and tragedy, as expected in a classic Greek myth. On the ﬁnal page of the story, our hero becomes King. Below is an image of the page showing two of the four-color press runs, which includes ornamented initials, and border drawings. 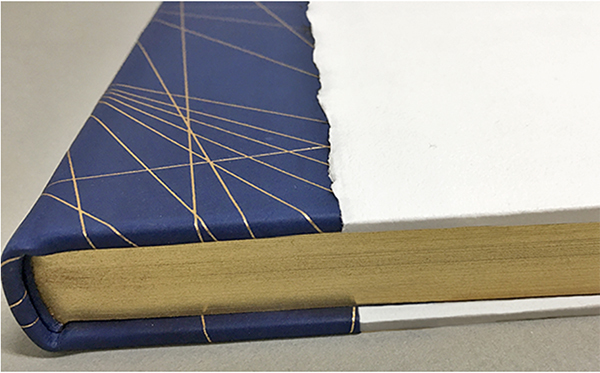 The book is hand sewn and beautifully bound with a blue leather spine and gold gilding. 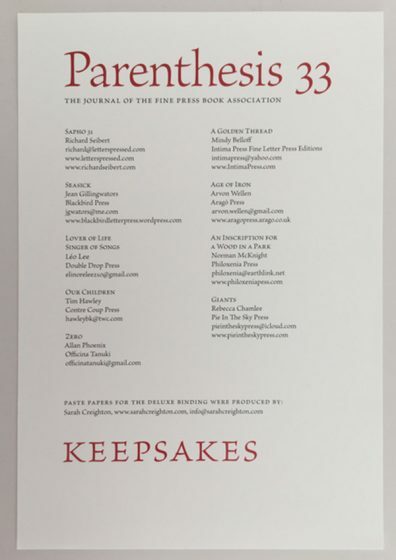 Mindy received a fine press book discount for her entire project for the plates Boxcar Press created. We appreciate her giving us a sense of her book “A Golden Thread” with words and photos. 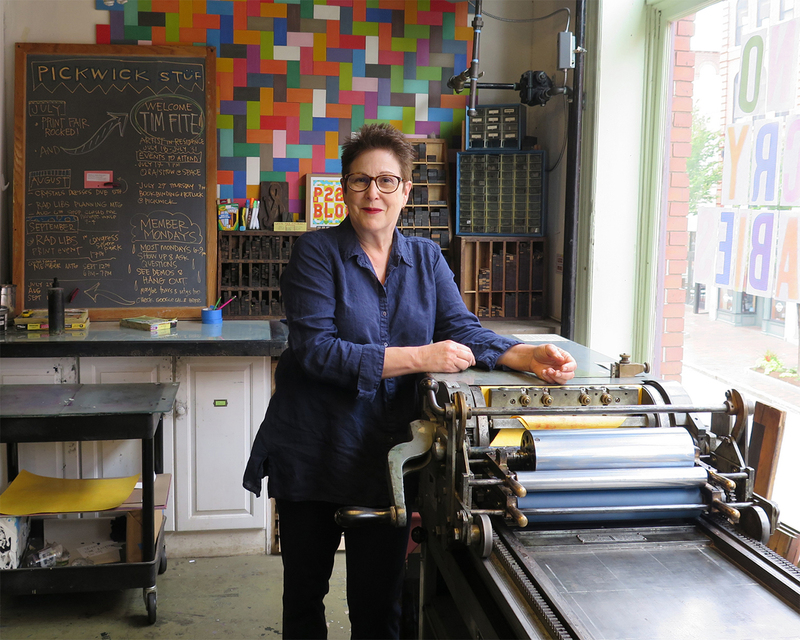 Mindy Belloff produces fine letterpress printed book and broadside editions at her Union Square studio under the imprint Intima Press. 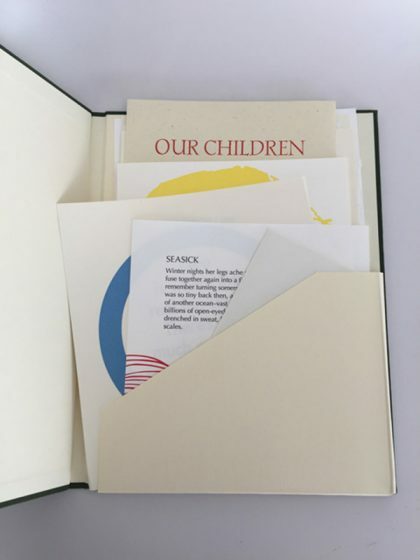 Her artist’s books have been included in many publications and she received an award for Excellence in Book Design. You can visit Mindy’s website for more on the Minotaur edition at Intimapress.com. 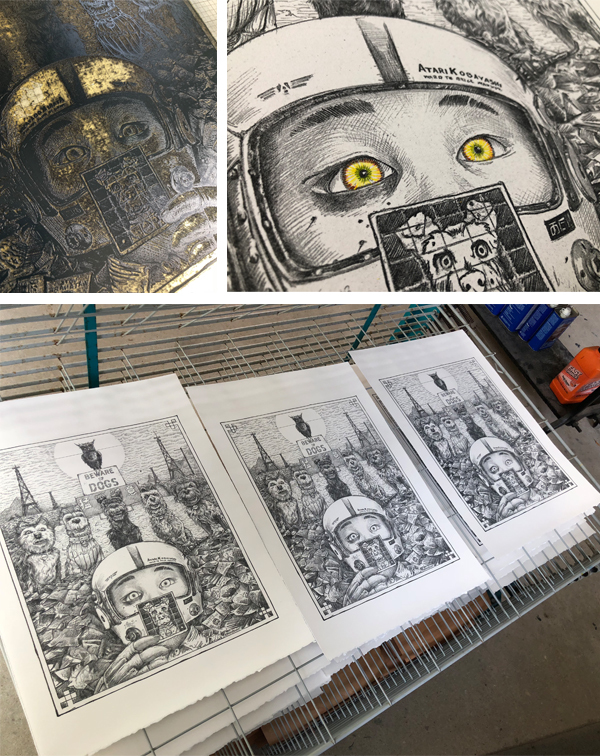 A myriad of eye-catching and pop-culture surreal characters snagged our attention when printer Bryan Baker and artist Jasper Wong’s fun order passed through our custom-made photopolymer platemaking service department. So much that we couldn’t resist the urge to reach out and get the scoop on such a brilliant and wild project! 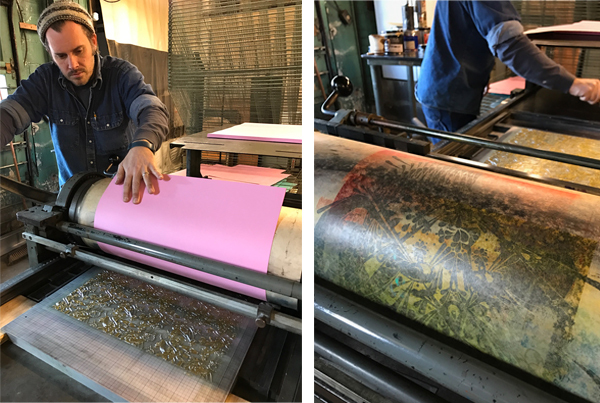 The ever-wonderful Bryan helped illuminate how such an bright, hypnotic printing project came to be. 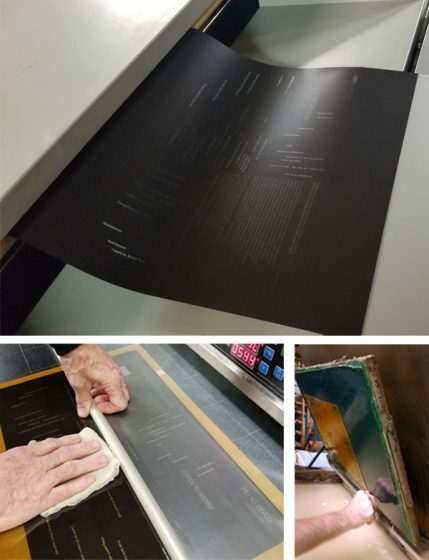 This project was printed at Striped Light in Knoxville Tennessee, by Bryan Baker. The artist who did the design is Jasper Wong. 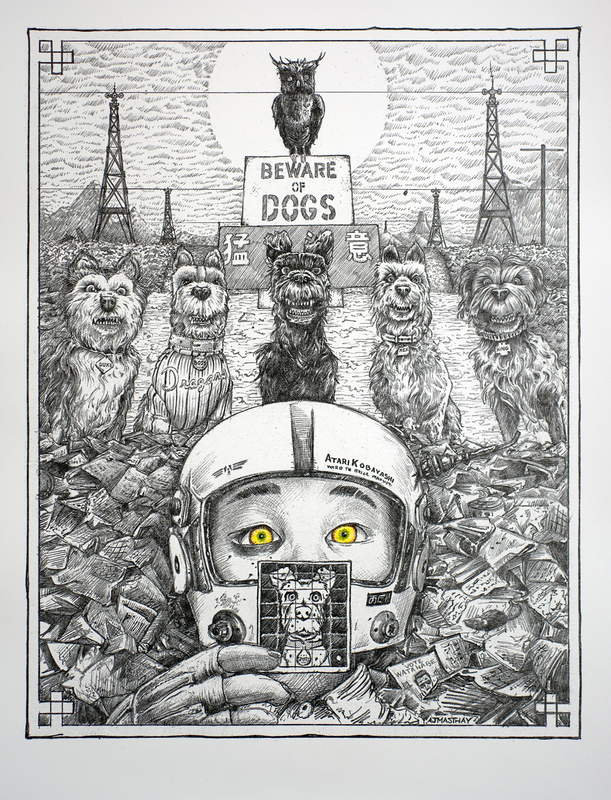 It is the second time that Striped Light made an edition of his work through an ongoing collaboration with a Detroit publishing company called 1xRun. 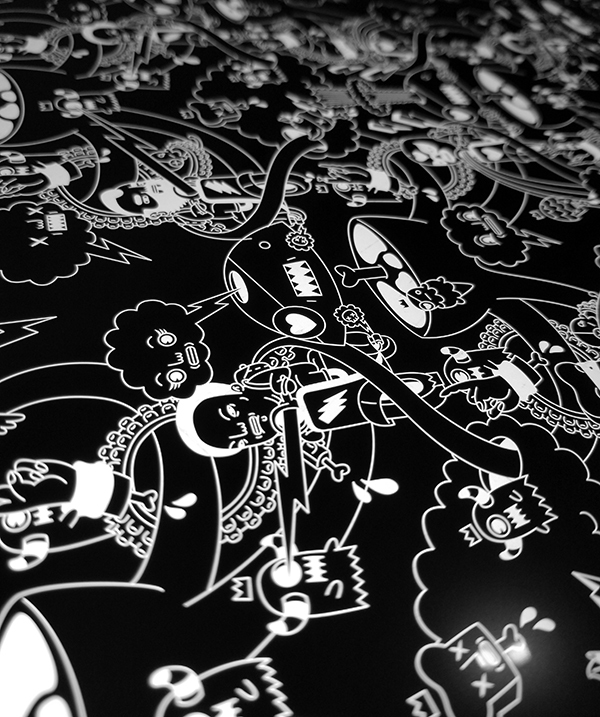 This particular piece was printed to coincide with a rather large street art event call “Pow Pow” in Hawaii. The print was run in four color ways: Trans on Pink, Trans on Teal, Black on Black, and Green and Black on Teal. All finished with hand torn edges. 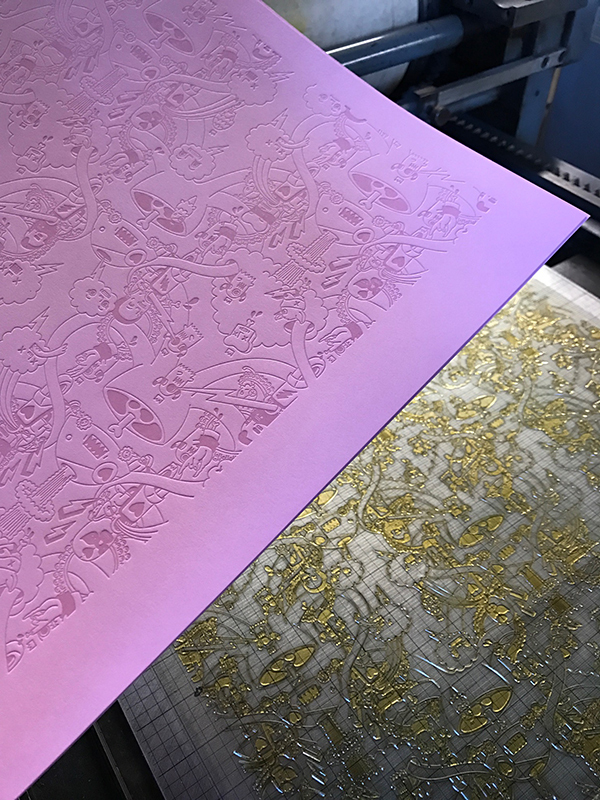 Striped Light is often commissioned by 1xRun to do limited edition letterpress prints for the artists that they represent. It it a pretty exciting relationship, because they work with artists from all over the world, and are now in their fourth year of working together. 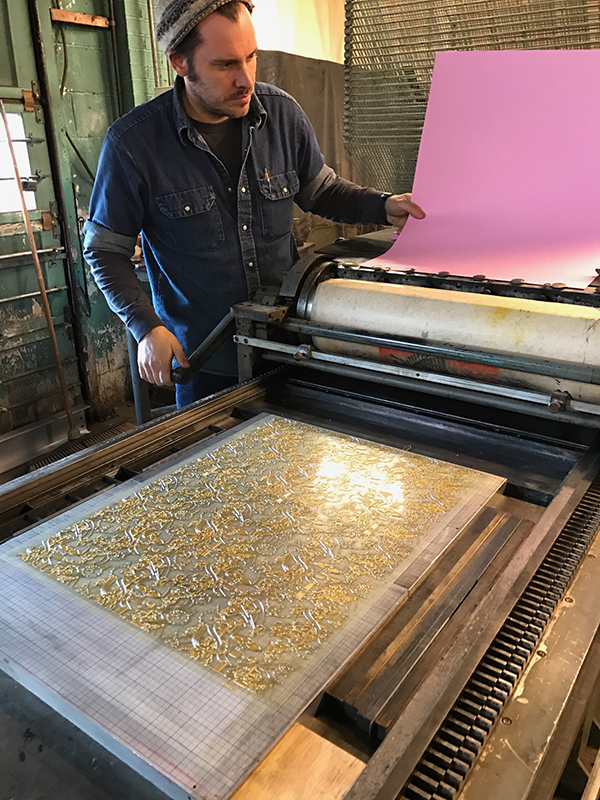 It first began while Bryan was up in Detroit running a shop called Stukenborg Press, and has continued with his new community letterpress shop that he opened with his partners Sarah Shebaro, and Jason Boardman.